The dress has been decided on, the guest list is ready, the catering, venue, and photographer are all set; now it is time for the smallest most important detail before you walk down the aisle; Your hairstyle and the accessories for it. With various options on the table, choosing your perfect accessories for your hairstyle could be harder than imagined, but we made it easier for you now with a list of the hottest accessories. There are a variety of headpieces to choose from, with different shapes, different colors, and different textures, but they are all stunning. Wearing a pearl thread or pearls in general isn’t very common, but it expresses elegance and sophistication. It has also been in style since 2015. 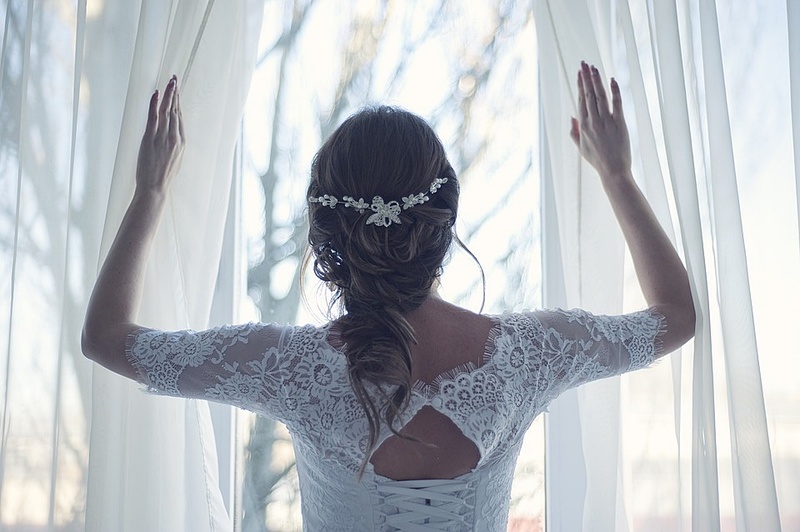 The veil is a traditional accessory for brides. However, not everyone wears one, although it’s the most common accessory for a bride. A tiara speaks royalty and extravagance; it makes you feel like a princess on your wedding day, which is every bride’s dream. A flower crown expresses simplicity and beauty. The best thing about a flower crown is that it could be perfect for a wedding during spring, a summer wedding, or even a beach wedding. Marriage is amongst the most significant moments that will happen throughout your life; along these lines it is critical to get everything ready splendidly, beginning from the wedding dress, the idea of marriage, until the little subtle elements. For example, hairstyle must be considered and the accessory for it is as important.